Articulating Arm. 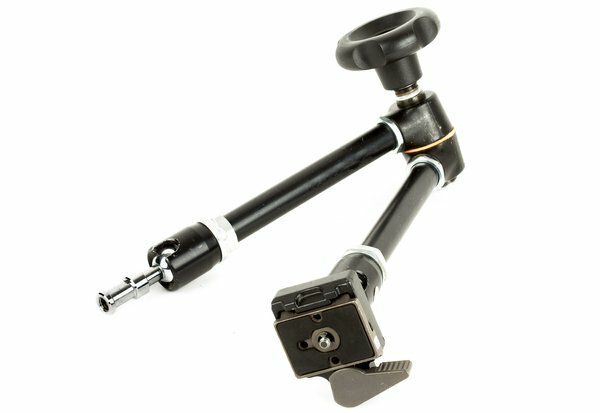 With 90° pivotable and 360° rotatable ends, as well as 360º rotating elbow, the 244RC offers a wide range of flexibility. The “Magic Friction” knob allows precise positioning of light head or camera. Requires Mounting Base. The 244RC is designed to be used in conjunction with a Manfrotto Super Clamp, Manfrotto Alu Ranker 12ft Air-Cushioned Stand, or other support system that accepts a 5/8" stud. Quick-Release. The camera platform is based around the Manfrotto RC2 Quick Release system. 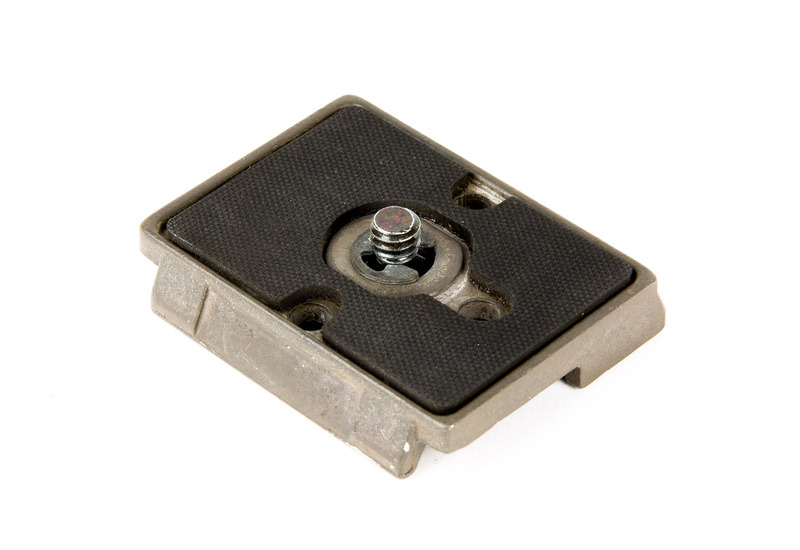 The compact QR plate features a tool-less 1/4-20" mounting screw for easy attachment.